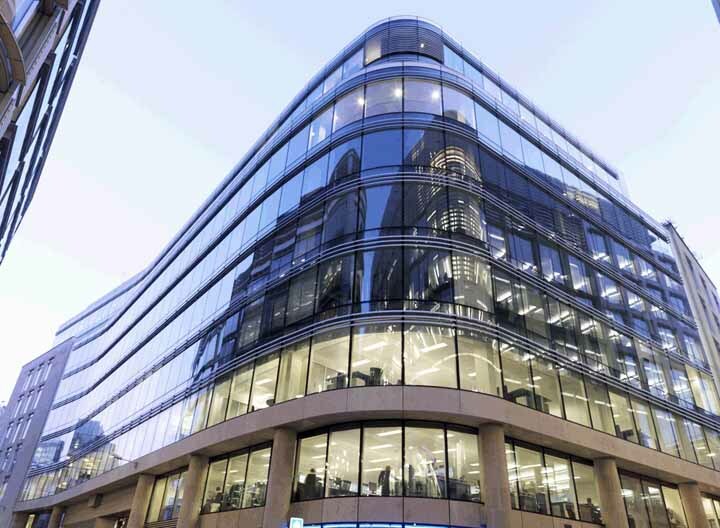 Rent a serviced office at a business centre in Cheapside. Cheapside is a bustling thoroughfare with Bank at one end, and St Paul's Cathedral and One New Change at the other end. Photo credits: Pret A Manger Cheapside by Joey Paysinger; LEON by LEON; EAT. by Joey Paysinger; Byron One New Change by Sarah JOLY; Nando's by Cicero Zandona; Doughnut Time by Alan Sweeney. Cheapside is home to St. Mary-le-Bow Church. It is said that you're a real Cockney if you were born within earshot of the famous Bow Bells.